There is a definite buzz about integrated blinds, particularly in conservatories and bi-folding doors. Whether it’s the opportunity to show-off with a new elegant and stylish innovation, or the obvious advantages of blinds sealed within an air-tight environment, integrated blinds are winners all round. They don’t get damp, dusty or dirty and they can’t be abused by little hands or paws. This system is designed with a rotational frontal magnetic control for raising and lowering the blind integrated within a double or triple glazed unit. 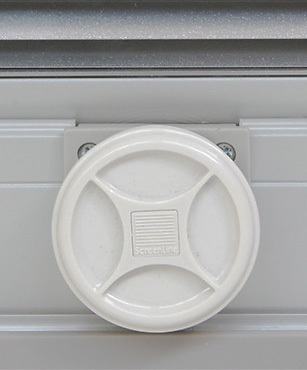 All ScreenLine systems utilise the force between two coupled rotational magnetic devices. In this particular system, one magnet is located within the header rail which is set inside the glass sealed unit and the other magnet is located within the external cord control which is mounted on the surface of the inside pane of glass. This magnetic system does not compromise the unit seal and so the integrity of the glazing unit. The magnets have an unlimited life and are resistant to high temperatures ( 120°+). Residential blinds which have been specifically designed for domestic use are available with 12.5mm Venetian Slats or 14mm Pleats and are for standard 20-22mm cavity double glazing units only. 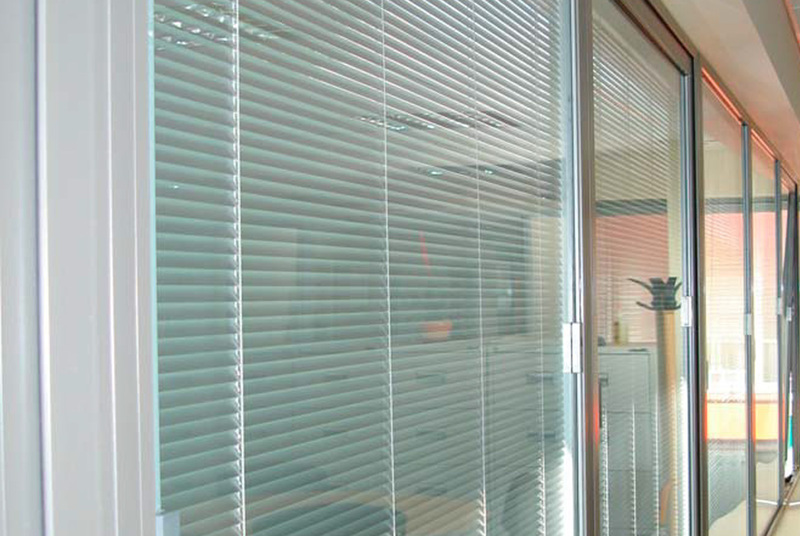 Commercial blinds which are built to withstand the stresses and strains of a commercial environment are available with either 12.5mm or 16mm Venetian Slats, or 14mm or 20mm Pleats. These blinds are made to measure and can be supplied for 20mm, 22mm, 27mm, 29mm and 32mm cavities. Roller blinds are only available for 27mm cavity units. This is a highly versatile and aesthetic blind system which has excellent technical qualities so lends itself to a wide variety of applications. However, it is particularly suited to structural facades. 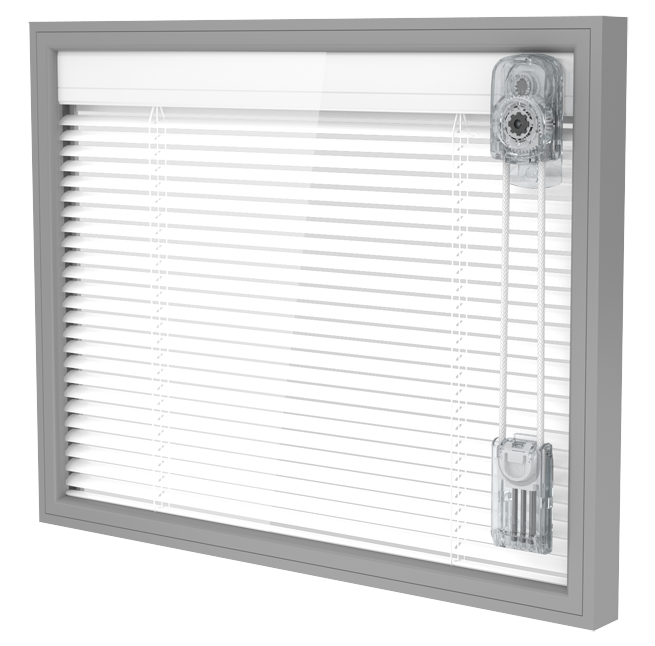 ScreenLine Blinds comply with EN13120:2014 Standards on cord safety – click here for further info. The other major bonus is that the type of components in the blinds are not counted in Window Energy Ratings (WERs) so as long as the WER guidelines are followed when the units are constructed, they can still achieve an ‘A-C’ rating as per the Window Installers simulation. ScreenLine blinds are supplied with warm edge spacer bar in Black or Grey.